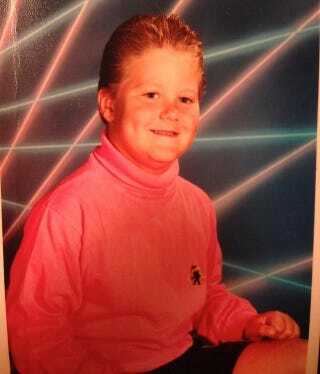 Richie Incognito Was Pretty Much The Raddest Kid In Englewood, N.J.
Now a fearsome, controversial lineman for the Dolphins, Richie Incognito was once like many of us: a child of the awful, awful early '90s. Incognito posted this throwback photo on Twitter today, and though you can't see it, I guarantee his sneakers lit up. He was cool like that.